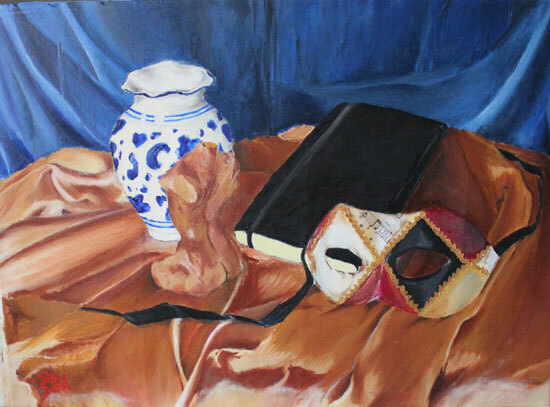 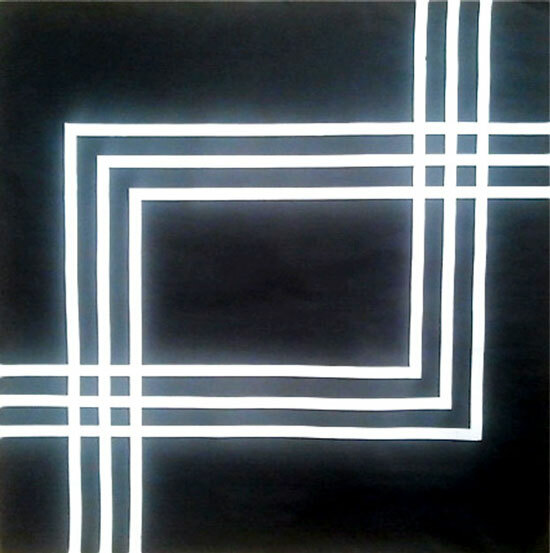 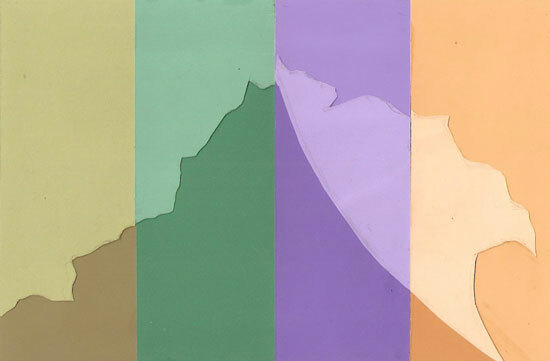 Black Gesso on paper, 48"x46"
First painting, Florence, Italy, oil on canvas, 32"x24"
close proximity of colors allows the eye to mix two colors to perceive another, colored paper on bristol, 4.5"x7.5"
The chip color appears to shift in value because of its corresponding parent colors, colored paper on bristol, 6"x4.5"
Colored paper on bristol, 6"x4.5"
Shift in Value, colored paper on bristol vellum, 6"x4.5"
Chip (center) color shifts value across the color border, colored paper on bristol, 6"x4"
The two chips (center) appear to have the same color when a viewer concentrates on the color border, colored paper on bristol, 6"x4.5"
inset colored paper on bristol, 6"x11"
Transparency overlay showing gradual depth recession, inset colored paper on bristol, 5"x7.5"
Mood study (same palette as Intoxicated and Mood #3, inset colored paper, 6"x4"
Mood study demonstrating the effect of inebriety through color (same palette as Comic Relief and Mood #3, inset colored paper, 6"x4"
Mood study showing equal distribution of colors as no single color overwhelms the composition (same palette as Intoxicated and Comic Relief, inset colored paper, 6"x4"
Painted Grid demonstrating a progression through complementary color relationships, gouache on bristol, 11"x11"
Push/Pull study exploring the recession and pull properties of certain colors when juxtaposed to each other. 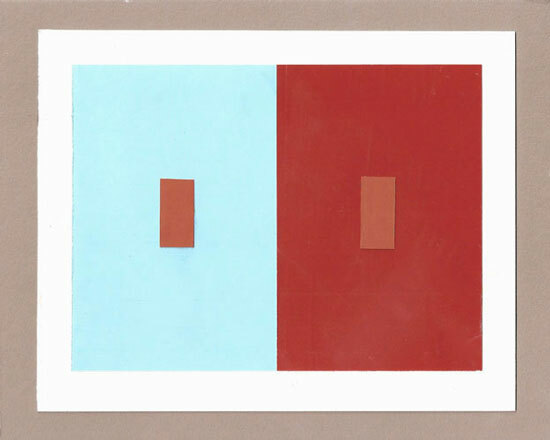 Though red grabs the viewer's attention and pulls itself forward, it struggles for proprietary with blue., colored paper, 4"x7"
Study of transparencies and film on top of color, colored paper, 6"x4"
This gallery contains recent works with a focus on figurative representation as distinguished from color form relationships. 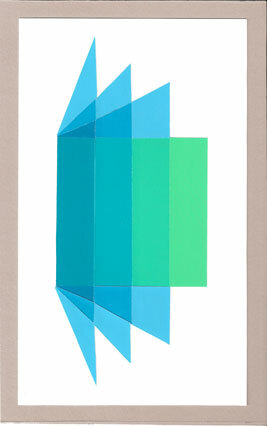 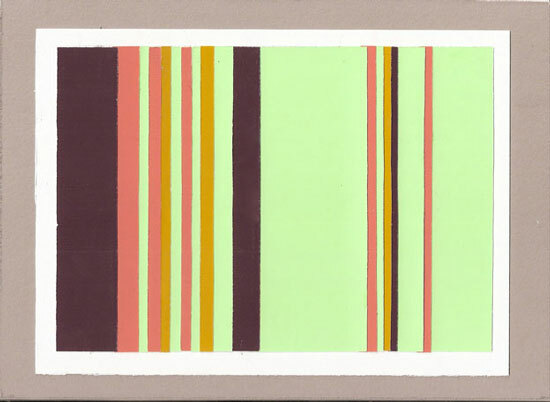 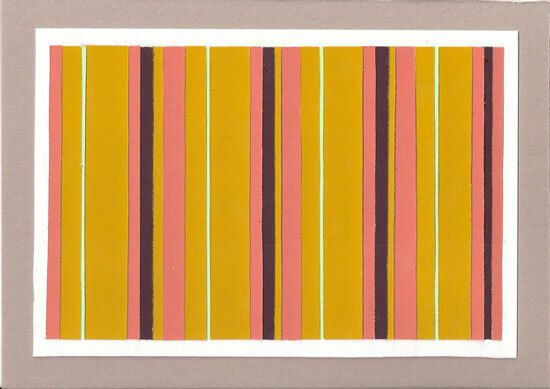 These paintings and paper works attempt to define a color space that understands color as form. 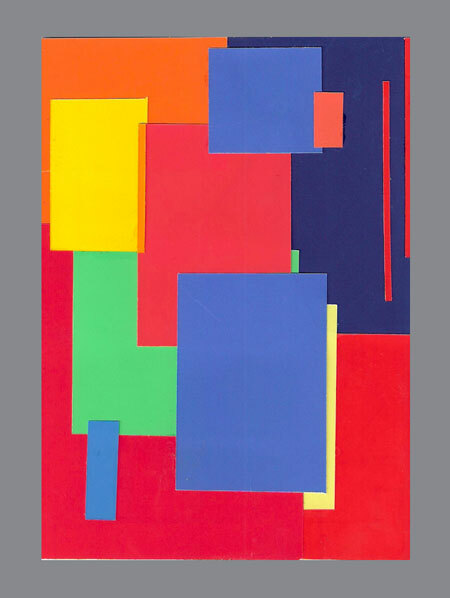 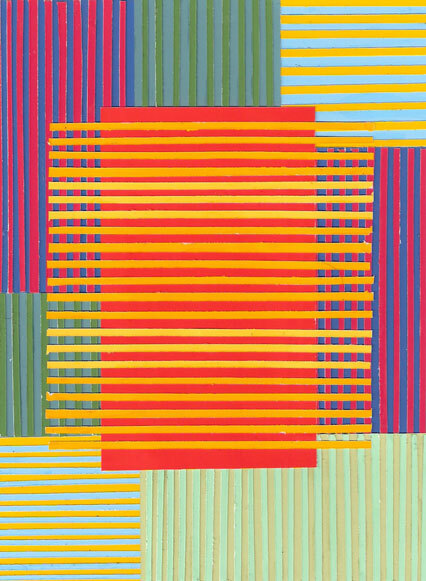 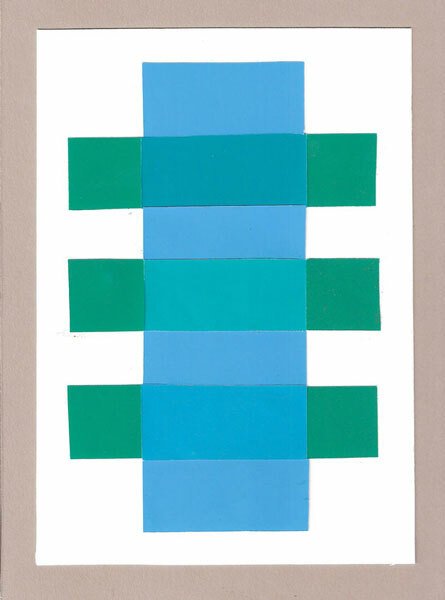 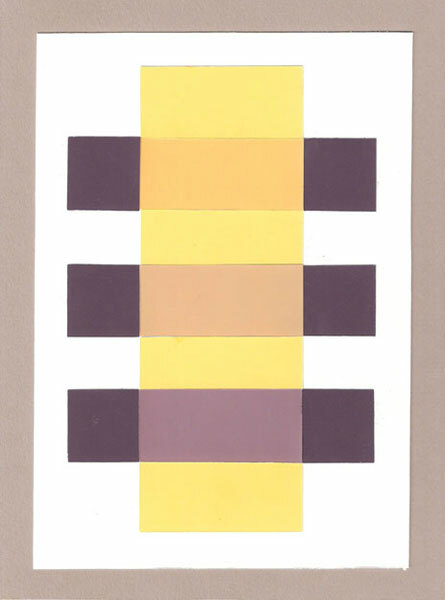 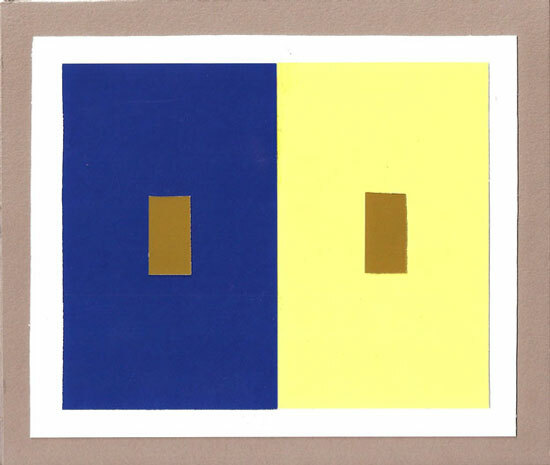 Several of the paper works are based upon exercises found in Josef Albers' Interaction of Color and are examples of shifts in value and hue. 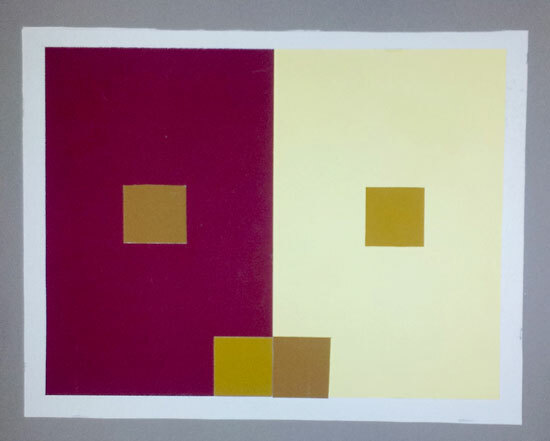 Depending upon which parent color (background) a chip (smaller color) rest on, the human eye will perceive that chip's value or hue differently. 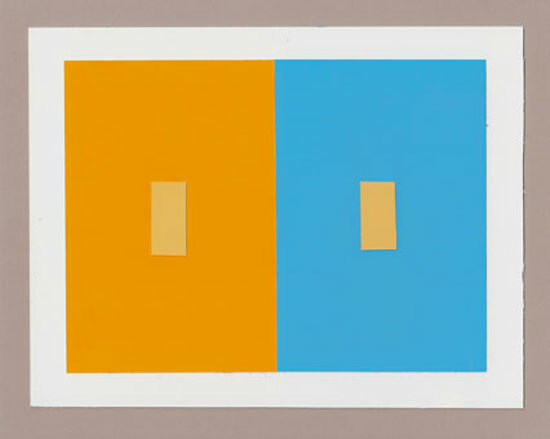 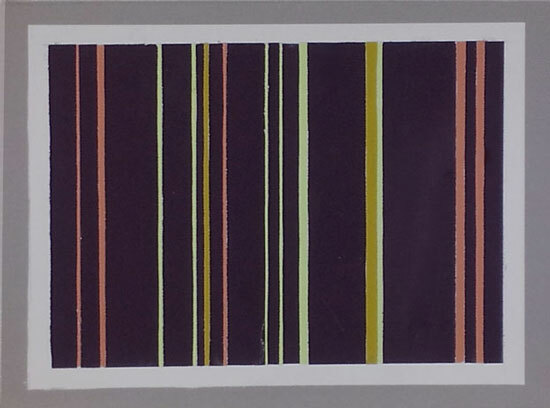 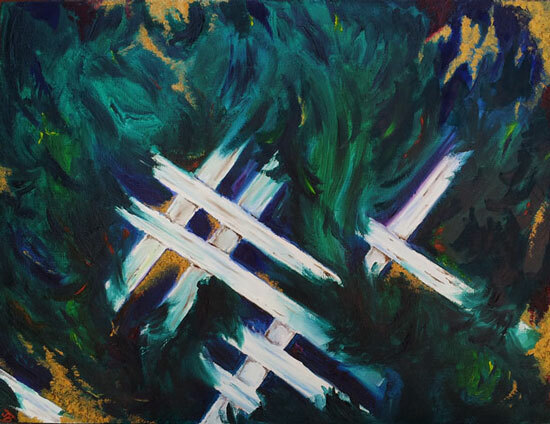 While the transparency studies attempt to demonstrate illusion through the use of color, the mood studies describe feeling as a byproduct of optical experience. 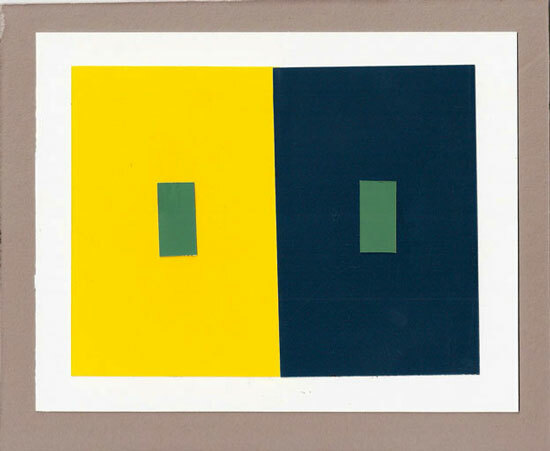 While drawings may represent recognizable forms, these particular color studies enter a separate realm of visual theory: one that does not rely on recognizable objects, but rather, a space that relishes in color. 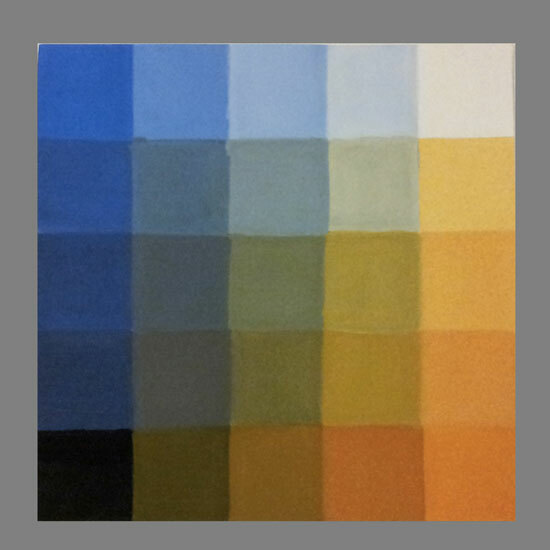 You can also view these images in a different format that enables an on-screen zoom effect with this color gallery.